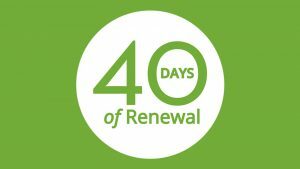 Living with an understanding of the victory of Jesus is essential for your renewal. Examining our hearts with the Bible, while drawing near to God, is essential for your renewal. Questions: Do you have settled peace concerning your salvation? Do you often sense God speaking to your heart, or does that seem foreign to you? Are you in a personal relationship with Jesus Christ, or do you just know facts about him? Can you remember a time that you were uniquely called out of your sin and spiritual death, into the holy life of Jesus? When you made a profession of faith in Christ, did you experience a noticeable and lasting change in your life? Is your mind filled with thoughts of Christ or consumed with earthly issues? Do you think far more about work or entertainment than spiritual growth and serving Christ? Are you often filled with unclean thoughts? Are you plagued with fearful or angry thoughts? Do lustful, unclean thoughts frequently occupy your mind? Do you watch programs, movies or online material that stimulate improper thoughts and feelings? Are you conscious of unclean thoughts or motives? Do you often have thoughts you would be ashamed for others to know? Do your affections and priorities often revolve around people and things more than Jesus? Are you more passionate about earthly things rather than spiritual things? Do you honestly get more excited about work, sports or recreation than about God’s kingdom? To what or to whom do you devote the majority of your thoughts and energies? Is Christ central in all you priorities, or does he occupy only a small portion of your thoughts and plans? Is it your habit to seriously read and study God’s word? Do you meditate on key verses or does God’s word have little place in your thoughts? Have you failed to write down key verses that speak to special needs in your life? Are you guilty of seeking God more for what he can do for you than out of genuine love for him? Do you sense your thoughts are mixed with selfish desires rather than seeking God’s glory? Are you unwilling to pray for God’s will, when it does not fit your plan? Does your love and worship decease when things don’t go your way? These verses reveal God’s extreme displeasure with insincere worship and empty ritual. To worship is to bow before God in genuine reverence and surrender. Yet, many Christians have forgotten the awesome holiness and majesty of our Creator. To some, it’s as if God exists mostly to fulfill all our desires and needs. We seriously compromise with sin and yet still expect God to honor our prayers and receive our worship. In coming to worship, is your primary purpose to bow before God in utter repentance and obedience? Is your mind filled with holy fear and reverence for God? Do you purposefully set aside Sunday as a day of worship? Do you listen to the Bible reading and preaching with great interest to obey and apply the biblical truths communicated? Is your mind filled with thoughts of how to experience greater holiness? Do you consistently take time to allow God to search every area of your heart and life? Do you allow the Scriptures to examine your heart?